Goethe`s "Faust." By Harry Clarke 1925. 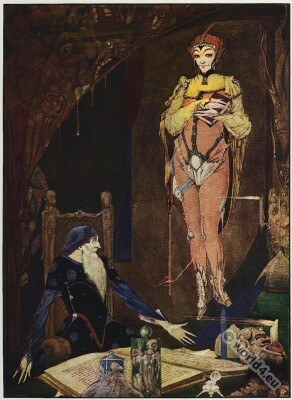 Home » Goethe`s “Faust.” By Harry Clarke 1925. Goethe`s “Faust.” By Harry Clarke 1925. Illustration for Goethe`s “Faust.” By Harry Clarke (1889-1931).